iPod transfer programs come and go, but there’s no denying what a good iPod transfer software can do for you! Not only will you not have to deal with the limitations that come with using iTunes directly, but you’ll get to enjoy the convenience of a user-friendly interface — most of them are fairly simple to use after all. Of course, there are some very old ones that are rarely ever used anymore, and some that have disappeared off the map completely! However, a great number of them are regularly updated and fully compatible with iPods of all generations! We’ll be introducing you to 11 of the best of these programs today! Transfer Music from iTunes to iPod with simple clicks. Automatic two-way transfer, just sync and complete. Manual transfer, decide which files get transferred — songs, music, videos, etc. Share music between devices with the “device to device” transfer option. Prevent any data duplication with a convenient clean-up tool. Enjoy peace of mind with complete device back-ups for your iPod on your PC. First, you’re going to need to have iMusic installed. 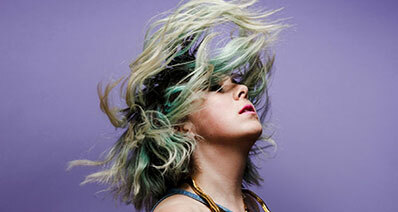 Do so by downloading the FREE trial that is available on the iMusic website (Mac and Windows version available.) 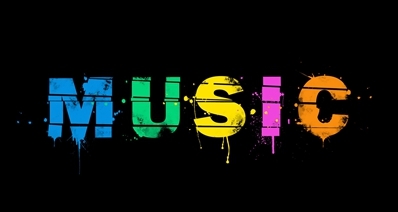 After doing so, launch the iMusic iPod transfer software and connect your iPod to your PC! 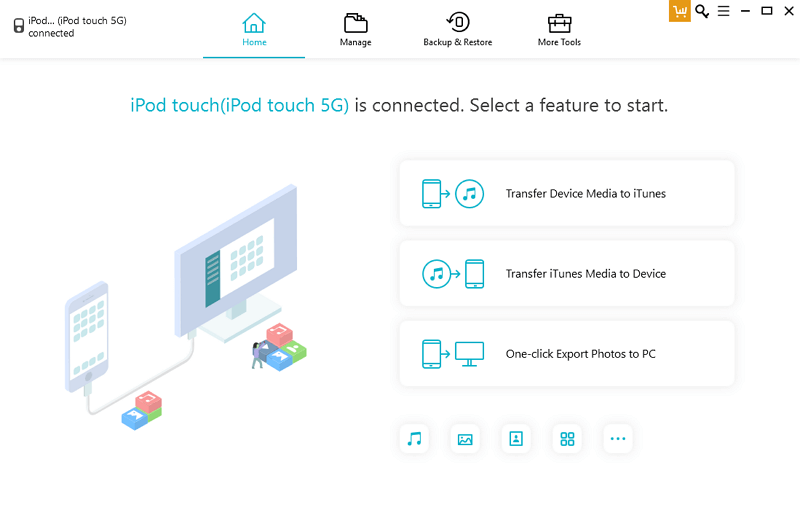 To begin the actual transfer process, make sure that you are on the DEVICE page by clicking its assigned icon at the center of the menu bar. Next, you will need to allow your PC access to your iPod. This is fairly simple to do. 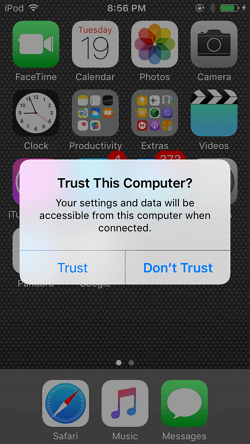 Just click the “Trust” option that appears on your iPod screen. Once the access has been approved, the DEVICE page should change. 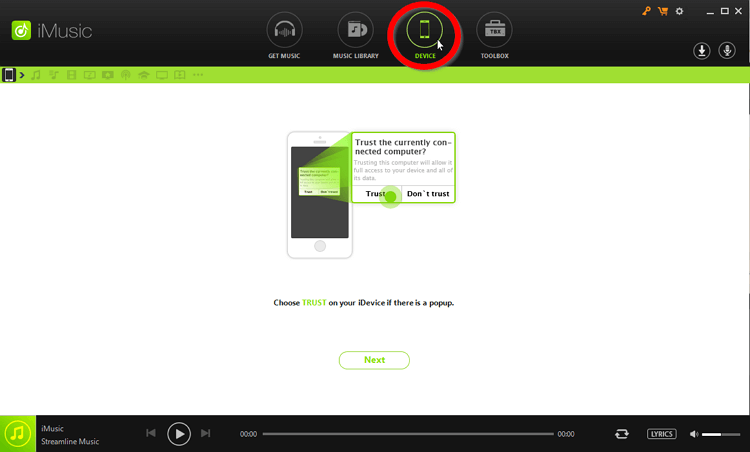 Now, it will show your iPod and offer a couple of options to choose from. For our purpose today, we’re going to have to select the “Transfer Music to iTunes” option. On the secondary window, you’ll need to click the “Start” button. This will initiate a full scan of the contents in your iPod and your iTunes library, comparing the two so that only what your iTunes library is missing will be transferred. Select or Unselect items as needed, then click the “Copy to iTunes” button on the corner of the window to complete the transfer. We’re going to be breaking up our favorite iPod transfer software into two groups! The first of which, will be the 5 best transfer programs for Windows-users — although there are some programs on this list that are dual purpose (available in Windows & Mac versions.) Most of these, much like iMusic, focus on the music transfer, but there are some that offer other services as well! 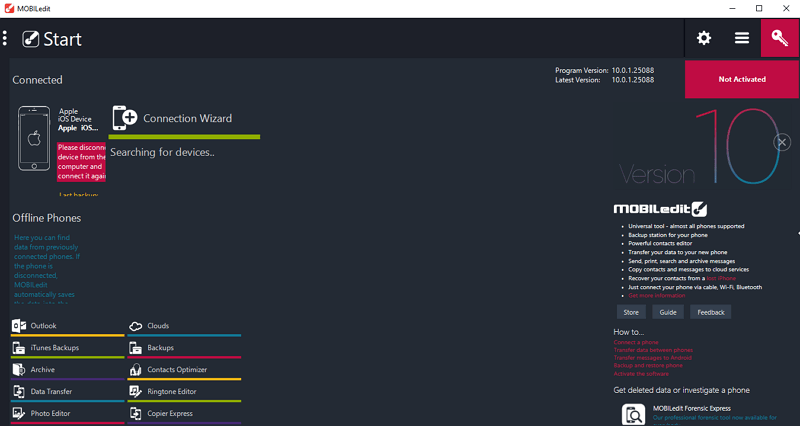 Continue reading if you want to know how each of these programs work, what their best (and worst) features are, and how much they cost! The very first program on our list is Syncios. Syncios has gone through quite a few versions in the last couple of years, so be careful where you download it! You don’t want to accidentally download an older version! In any case, recent improvements have made the interface sleeker and more intuitive to use. 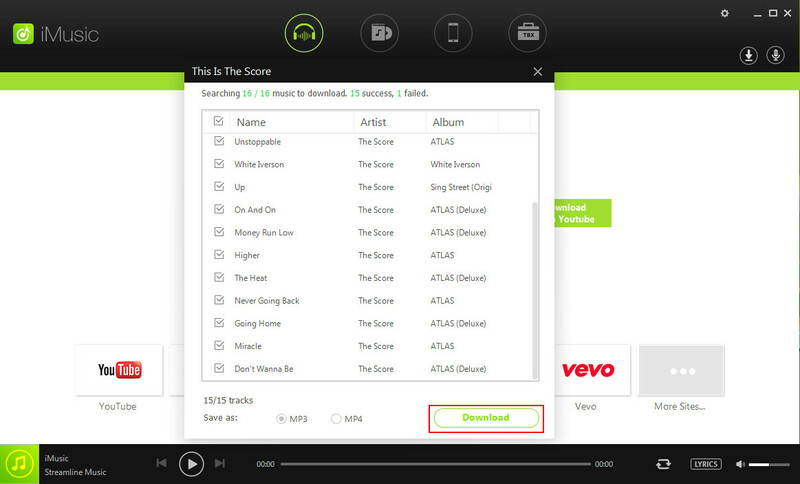 The important part here, of course, is that it allows for the same type of two-way data transfer that iMusic does. Which is really all you need in order to transfer files between your iPod and iTunes. Automatic & Manual Two-way transfer between iPod and iTunes . 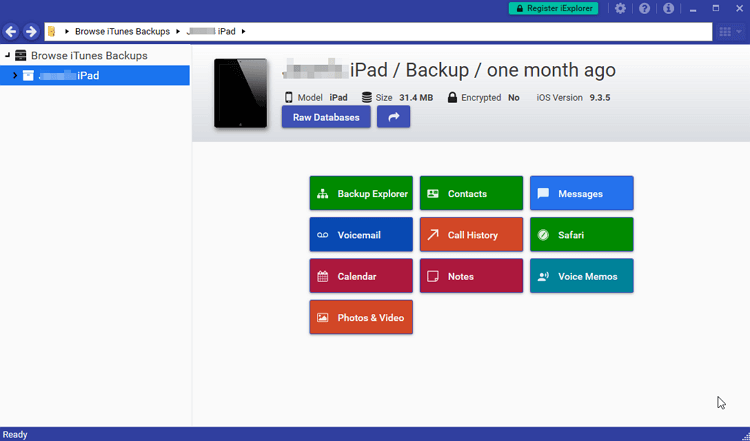 Complete Backup feature for storing past device states in case of data corruption. Premium Data-Transfer tools not just for audio but for videos, contacts, etc. Like iMusic Syncios offers a FREE trial, but it is fairly limited. Actual program cost is $29.95 for the full LICENSE. There are reports that extra features prevent efficient non-music data transfer. If you look at the iMyFone interface, you’ll notice that there’s really not much of a difference between it and iMusic. The only difference is that iMyFone was created to be simpler. It offers the basic tools and kind of leaves it at that. Which is good in that you won’t have to worry about bugs or lags during work time. It does what it’s meant to do, and that’s it. However, that might also prove to be a con. Considering the cost of the program subscription/license. Automatic two-way transfer between iTunes and iPod. Data Transfer tools for creating, deleting, exporting, etc. music and playlists). User-friendly interface for even the most inexperienced beginners. FREE trial is available but also highly limited. Both subscription cost ($39.95 per year) and full-license cost ($49.95) are expensive. Lacking certain advanced/premium features offered by other transfer software. When it comes to features, iCareFone is pretty similar to iMyFone. Both iPod transfer software keeps their interface fairly basic. Which, as was mentioned previously, can be both good or bad — depending on whether you want the extra premium features offered by more advanced programs like iMusic or Syncios. There really isn’t much of a difference between our second and third pick. Arguably, however, there are slight differences in the design between the two programs that one might consider better or worse. Automatic transfer between iTunes library and iPod. Complete Backup & Restore available in case of data corruption. Data Transfer tools for music, videos, photos, contacts, etc. FREE trial is available but limited. Both subscription price and the cost of the full license is considered expensive. The interface is very basic, and not as sleek as the others above it on this list. Premium data-transfer tools for moving music, photos, videos, etc. Transfer toolbox for managing data prior or post transfer. Most Expensive — $49.95 per year (subscription based). iTransfer was one of the original transfer programs available on the market, which is admirable, but that also means that it is quite antiquated in some ways. Its video and music support are quite limited. MOBILedit is quite unique in its own way. For one, it is completely FREE. You’d think that because of that it would be higher on this list. However, the lack of expense doesn’t quite make it better than the other programs above it. For sure, it can be used to transfer data between iPod to iTunes. However, it’s not going to be particularly easy. For one, the interface is quite complex, not something that we would recommend for a beginner or for someone who doesn’t want to have to spend hours trying to figure out how to work it! For another, there are limitations that keep it being as efficient as other programs. 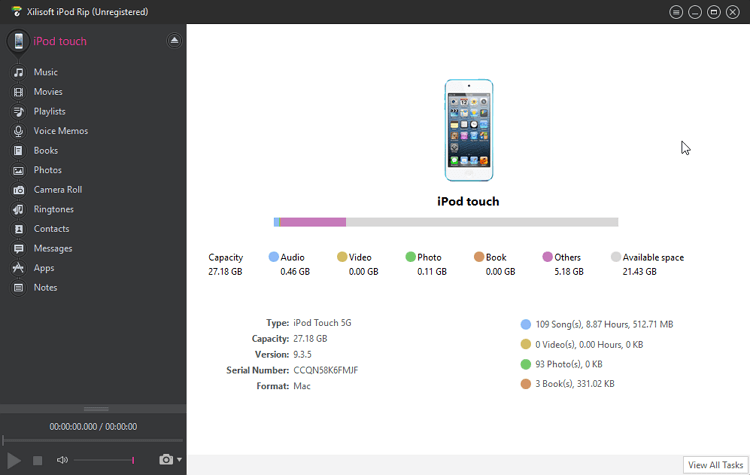 Quick and Automatic data transfer between iPod and iTunes. Media is automatically converted in order to make up for compatibility issues. FREE and no restrictions when it comes to the number of music or playlists that you transfer between your iPod and iTunes library. Very advanced interface that is not as intuitive as the other programs on this list. As a FREE program, it is quite limited when it comes to features. Reports of bugs and lagging which prevent smooth transfers. Now that we’ve gone over what we think are the best transfer programs for Windows, let’s talk about the best iPod transfer software for Mac! This will be formatted similarly to our previous list. That means, we’ll introduce you to all five programs and provide the pros & cons, as well as any other relevant details, involved when it comes to using it. As a final note, to avoid duplication, we won’t be repeating any of the dual-OS software we already introduced in the previous list so this might not be completely accurate when it comes to the best programs that can be used on a Mac PC. One program that could have made it on our best windows iPod transfer list is dr.fone. It is available on Windows as well, after all. However, it really is better used as a Mac transfer software and it deserved its own #1 spot on this list. If only because it was created with such a sleek and intuitive interface! Despite its many advanced and premium features, it manages to be primarily user-friendly. Allowing even the most inexperienced of users to transfer data between iPod and iTunes without a problem. Automatic and Manual iPod to iTunes transfer available. Sleek and intuitive interface that is perfect for beginners and advanced users alike. Advanced and Premium data transfer tools for providing the most convenience. Subscription-based program (yearly payments are required) . The FREE trial is available but limited. EXPENSIVE - $39.95 per year. Senuti is number two on our list, not because it’s particularly better than the other programs below it, but because it is FREE. This Mac-only iPod transfer software is actually very limited when it comes to its tools and options. 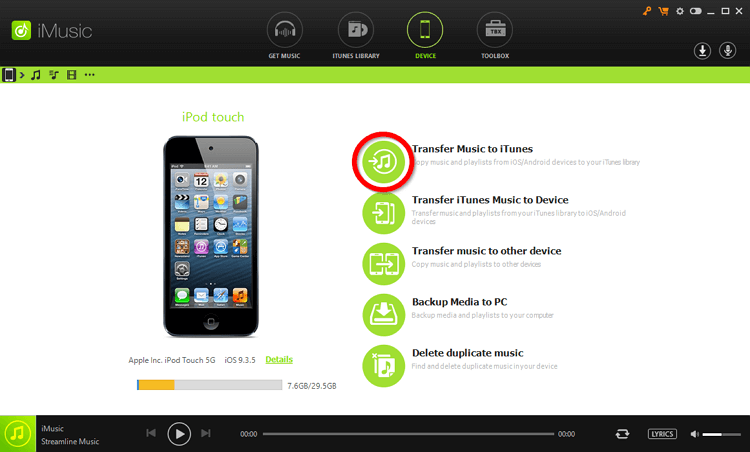 However, that doesn’t mean that you cannot use it for data transfer for iPod to iTunes. In fact, because of its lack of extra features, transferring data with Senuti is simple and fairly efficient. Incredibly efficient when it comes to two-way data transfers. Very Basic, which makes it easy to use even for those without much PC experience. Older software and thus is quite limited in certain ways. 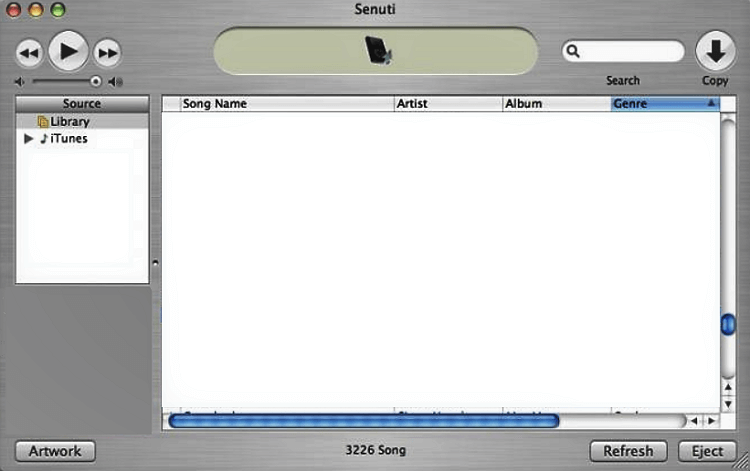 Similar to Senuti, the iPod Rip is pretty basic. You won’t get any of the advanced premium features available on programs like iMusic or dr.fone. Which is bad in some ways, but okay in others. Meaning, while it is easy to use, it is also incredibly limited. It’s one of the older programs available in the market as well. Obvious when it comes to its incompatibility with certain iPod and iPad generations. User-friendly interface that is efficient and easy to use. Offers automatic two-way transfers between iPod and iTunes. Available on Mac & Windows. PAID program — $29.95 for the full license. Certain iPod and iPad generations are unsupported. Lacking in advance and premium data transfer tools offered by other programs. 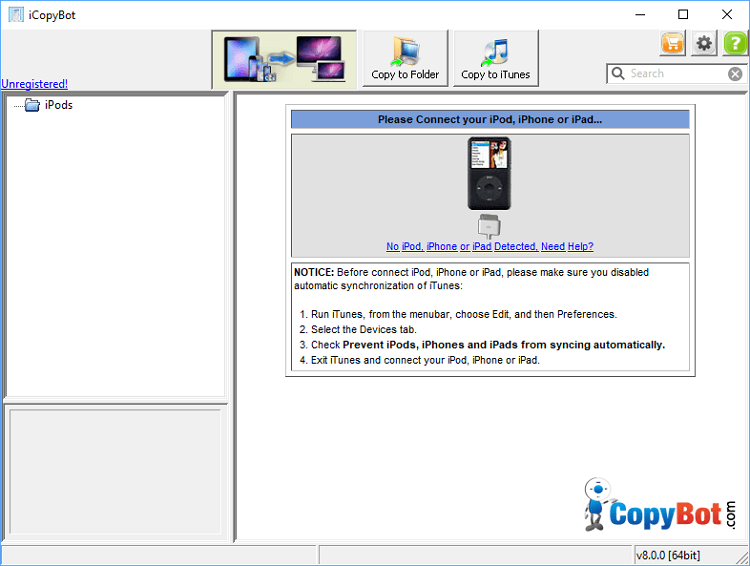 iExplorer, much like most of the other programs on this particular list, is one of the older iPod transfer software in the market. Because of that, it doesn’t really have a lot of the many conveniences that the other programs have. In fact, even its interface is a lot shoddier than the others in the same league. Of course, looks are usually not that important. However, when you consider the cost of using it… Well, it would have been nicer if they had updated the look of their interface to be sleeker and more intuitive. Transfers music between iPod to iPad easily. Basic tools ensure that the transfers are fairly simple. Some data transfer tools are available to make sync easier. Because it is older, the iExplorer has a difficult time telling iPods and iPads apart. It does not support certain iOS generations either. The interface is lacking when it comes to design and user-friendliness, which is strange because it is a rather expensive product. If iCopyBot was any less buggy, it might have been placed higher on this list. 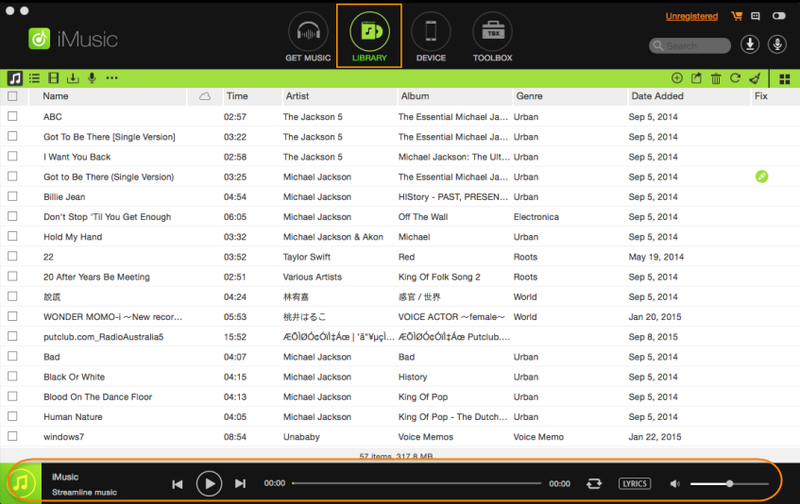 Sure, the interface is basic, and it lacks the type of premium tools offered by transfer programs like iMusic or dr.fone. However, that doesn’t change the fact that it is completely FREE. You don’t have to pay at all in order to use this program. Which is good in theory, but not so much when it comes to its application. Despite its very basic design, it’s actually pretty difficult to use. If only because it crashes and lags often. Completely FREE, no payment is required. iPod to iTunes & iPod to PC transfer is available. Certain iPod and iPad models are incompatible with the software. Quite buggy, the program crashes and lags often, which can make the actual transfer pretty frustrating. Lacking in any premium or advanced data transfer tools . Transfer Music between iPod to iTunes Easily. Conclusion: That does it for our list of the best 11 iPod transfer software for Windows and Mac users! Hopefully, you were able to find one that would suit your needs. However, if you want a blanket recommendation of a program that you should check out first then we suggest trying iMusic first! 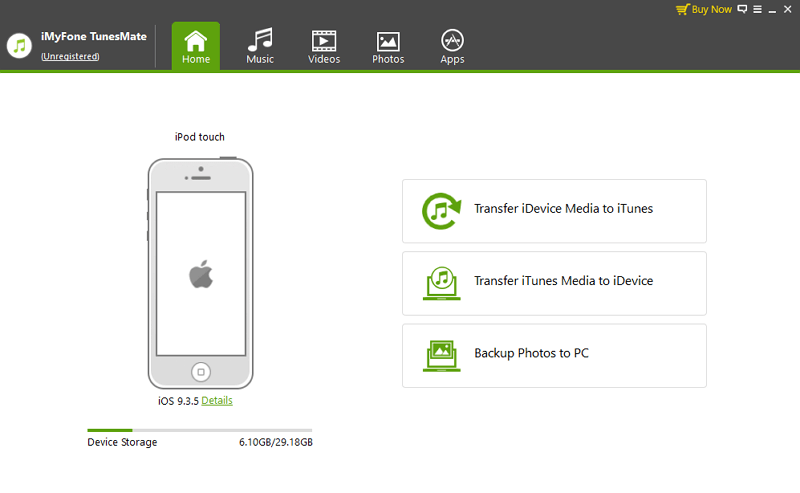 Try the FREE version and see just how easy iPod data transfer can be if you have the right tool for it!